IDF soldiers faced rioters overnight Motzoei Shabbos, as some 500 Gaza Arabs threw rocks and firebombs at Israeli forces. Soldiers dispersed the crowds with anti-riot measures. Gaza terrorists threw three hand grenades at Israeli forces during the riot. B’chasdei Shamayim, there were no injuries among Israeli forces. An Israeli soldier was injured in Friday’s rioting. Nine Gaza Arabs were caught trying to breach the border fence, and were arrested. 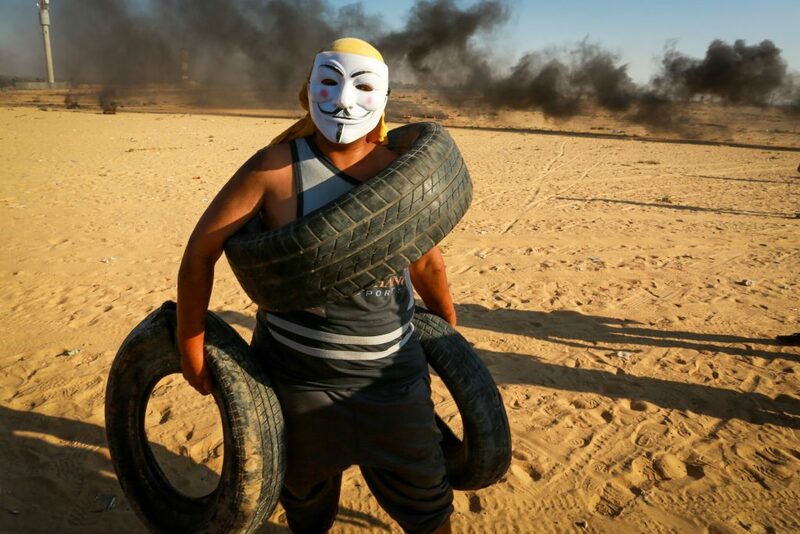 In response to the rioting and attempts by Arabs to start fires in Israel with terror balloons and kites, Israeli planes hit several Hamas outposts over the weekend. Hamas also claimed that Israeli forces hit a UNWRA school building. Also overnight, security officials said they arrested 16 wanted security suspects in other areas in Yehudah and Shomron. The suspects were wanted for participating in rioting and throwing stones and firebombs that endangered Israeli civilians and IDF soldiers. Several of the suspects were also charged with belonging to Hamas. All were being questioned on their activities by security forces.